MD Hair is a local hair salon in Eltham, Victoria. 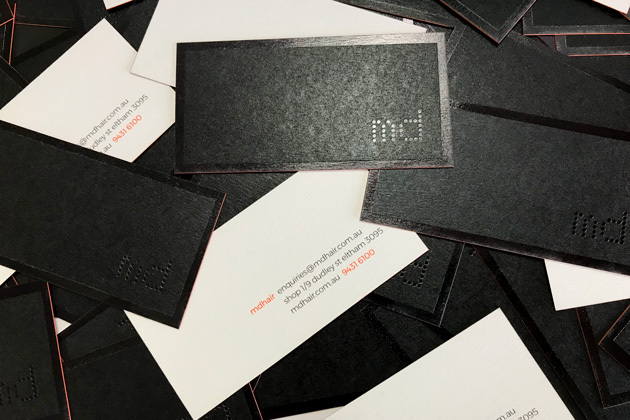 Maryanne Dodds approached us for a refresh of her current business card. It was outdated and did not represent her award winning hair salon. The MD Hair experience is luxe yet unpretentious. The salon is modern, stylish and full of enthusiasm for all things hair. We wanted to represent this in a business card. 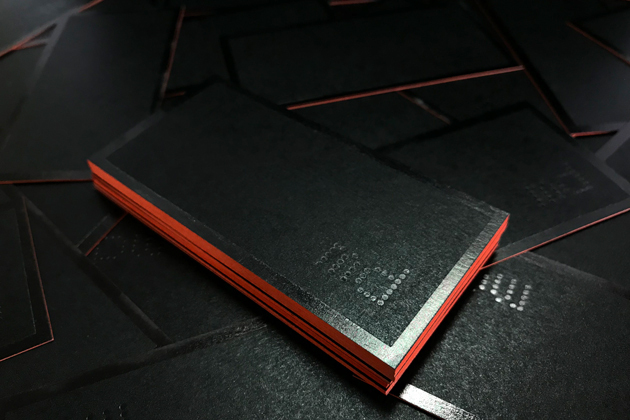 Researching the appropriate print finishes, we opted for black foil logo and edges with an orange painted-edge. 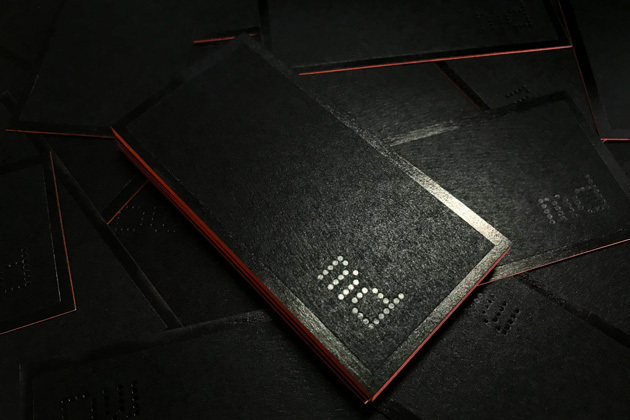 Simple, elegant and edgy business cards.